Capacity Increased due to high demand of machined turned plastic Parts. 1 metre Gap Bed Lathe. 104mm spindle bore, up to 1 metres between centres and ProtoTRAK’s simplicity makes this a winner for producing turned plastic parts. 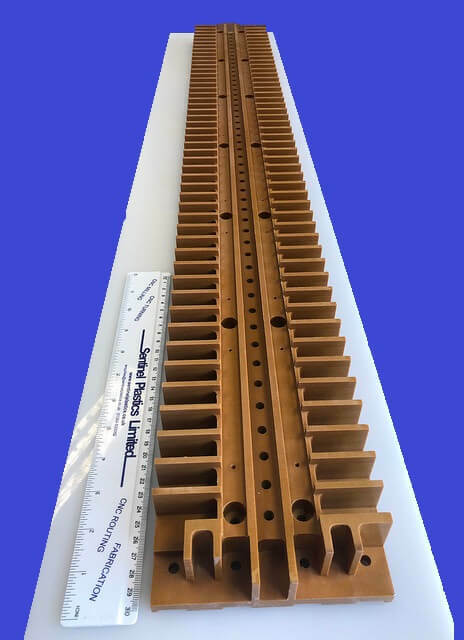 Tufnol CNC Machined. Machining Specialists, a quality bit of machining from Sentinels Milling section. 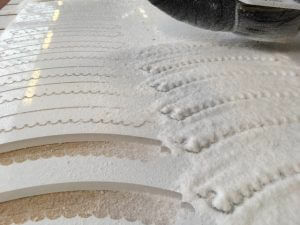 I thought it was a great example of what can be achieved, when you have the experience, CNC milling Tufnol type materials. This particular part is destined for usage in the engineering electrical power sector. It’s a nice piece of work which i thought was well worth sharing. Firstly, the make up of G10-FR4 materials are an Epoxy Glass based Insulation Plastic. Laminates generally offer high mechanical strength and dimensional stability, are extremely durable, and maintain their properties wet or dry. Therefore the result of this blend is a material that offers excellent ark and track resistance. The commonly known G10-FR4 are the most popular grades. G10-FR4 glass cloth reinforced epoxy natural is typically a yellowish to light green color. 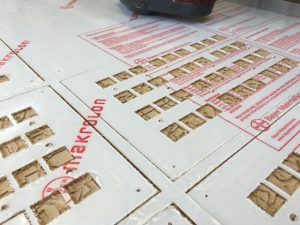 Epoxy resins are among the most versatile and widely used plastics in the electronics field, primarily because water absorption is virtually nil, rendering it an outstanding insulator. As a result of being the most economic choice of G10-FR4 material, it is also noteworthy for being a material which can be easily machined to bespoke applications. 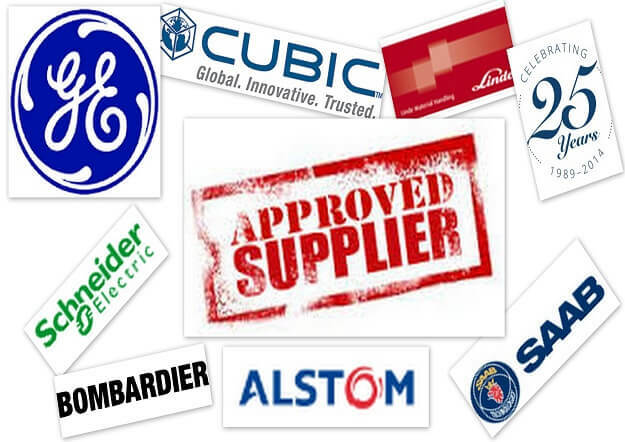 Some examples of what G10-FR4 Materials are widely used to manufacture are Insulating supports, high voltage insulation, bus bar supports and mounting panels in electrical apparatus are just some examples. Based on the needs of its particular application it comes in several grades. So there are many advantages to using G10-FR4 Machining Materials. 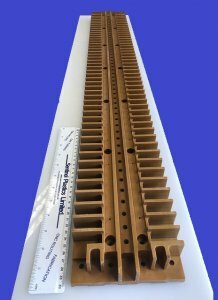 Most of all having high structural strength but also excellent Electrically Insulating properties. Most noteworthy, raw materials are available in standard sheets & rod sizes. Finally a couple of important factors. 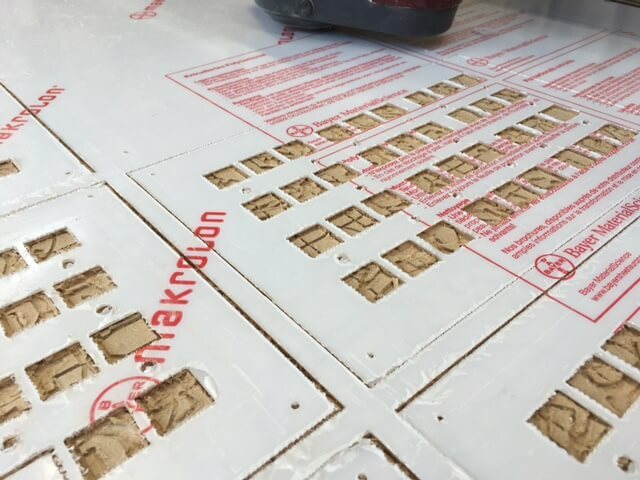 Firstly Sheet thickness ranges from 0.8mm to 50mm. All parts manufactured by Sentinel Plastics Ltd are customer specific bespoke plastic cutting parts. Either working from Prototypes, drawings, making a One off or hundreds of parts. Sentinel Plastics has flexibility to meet most requirements. As well, the material is nearly immune to shrinkage, holding its form factor and dimensional stability at temperatures as high as 285° F. This property makes it ideal for use in electronic equipment with components that generate excessive heat. Should it combust at higher temperatures, the bromine added during the manufacturing process renders it self-extinguishing, another important factor for making its use in aerospace engineering so prominent. 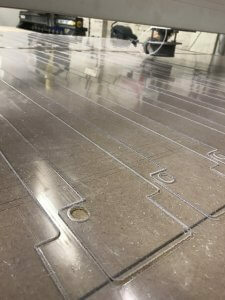 Sentinel Plastics Ltd. – CNC Plastic Sheet Machining. 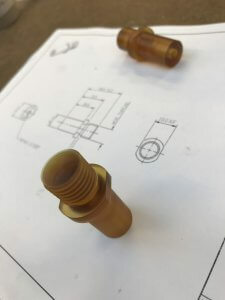 – Machined Plastic Parts. 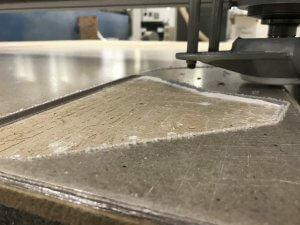 – Epoxy Glass Machining. 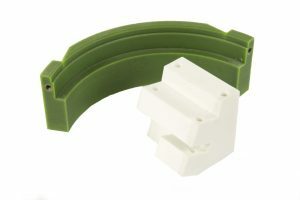 – Quality Plastic CNC Components. Machining. Material. 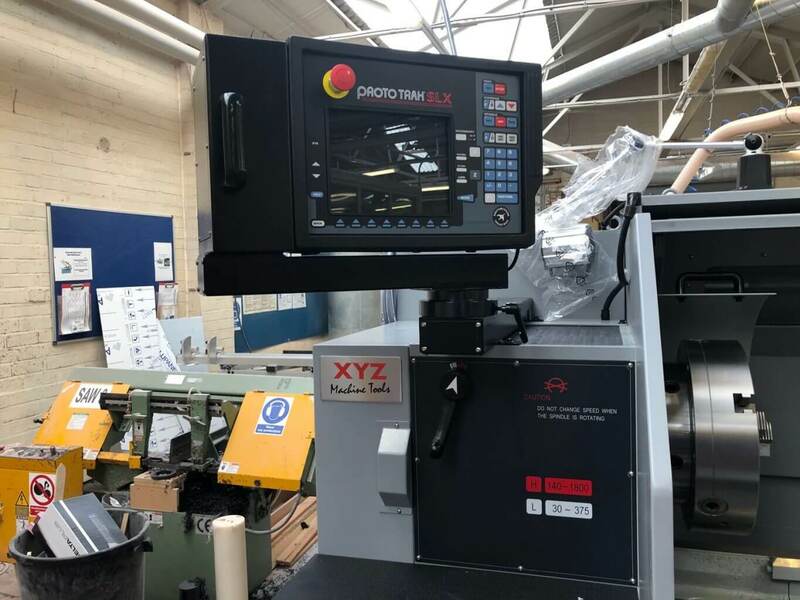 While watching our CNC Routing Machines today I realised Four of the Five were Cutting Polycarbonate machining ( Makrolon – Lexan ). With its high transparency and smooth surface, Clear Polycarbonate Machining is an attractive material for a wide range of applications. Offering extreme impact resistance, even at temperatures down to -100°C. 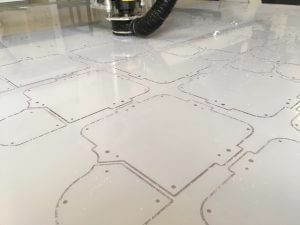 Unlike Acrylic, which requires heat to form, Polycarbonate sheets can be CNC Routed and cold-bent. 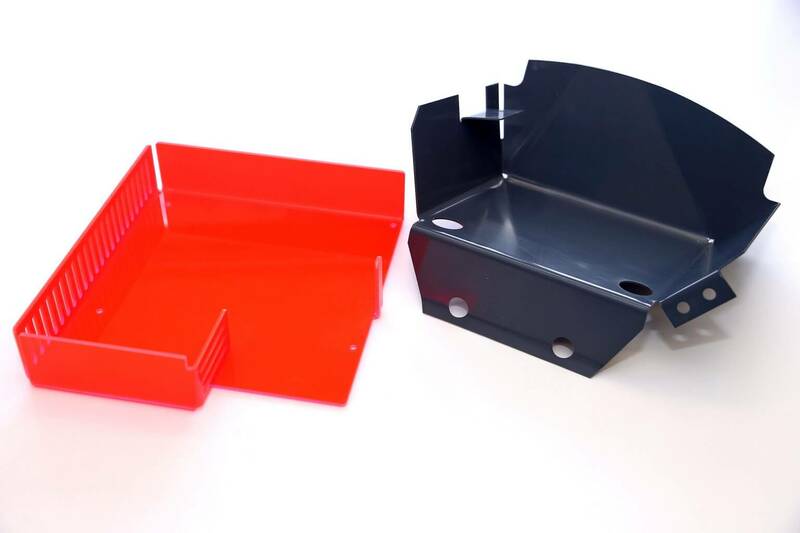 As a company Sentinel Plastics has become synonymous with Polycarbonate machining and fabrication. Within Industry Polycarbonate is the most popular choice of plastic when it comes to a requirement of strength and ultimately safety. While in its sheet form it is extremely impact resistant. For interior applications up to 6 mm thickness Polycarbonate has a B1 fire protection for classification. Especially relevant parts manufactured by Polycarbonate machining are machine covers, Glazing for schools and factories, Warehouse doors. Consequently a popular material. Widely used for Industrial vehicles and Lamp covers. Where a high level of heat is generated, being highly fire-resistant, versions exist for the use in Switch cubicles, electrical equipment. Other uses for Polycarbonate are Trade fair structures, Public buildings. Within Industry, the clear plastic of choice is Polycarbonate. Hence the popularity and wide use as safety guards. A UV coating can be applied to the surface of the smooth or textured polycarbonate sheets. Solid sheets retain their shine with no yellowing, nor change of color. The positive effect in applying a protective coating is that you are increasing the resistance to long-term weathering, which thus provides a long service life. Transparent clear and white translucent. Also available in bronze, grey, green, blue. 4: Outstanding through reinforced UV protection. 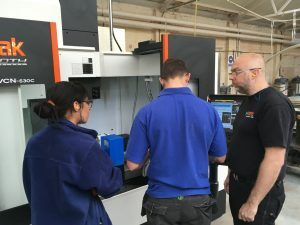 Having a large capacity of capabilities for CNC Milling Nylon Machined Plastic Parts, Sentinel can draw on many years’ experience to produce high precision components from high specification industrial plastics materials. Importantly, we have a no minimum order quantity. Always happy to machine most requirements, whether your requirement is one off or medium volume production work. Another valuable note is, Sentinel are Continually investing in plant, ensuring the capacity available is ever increasing. Ultimately, partly due to our years of experience CNC Milling Nylon Sentinels production team fully understand the capabilities required to CNC Machine. Furthermore and more importantly the specific requirements when machining all Industrial Plastics including CNC Milling Nylon. 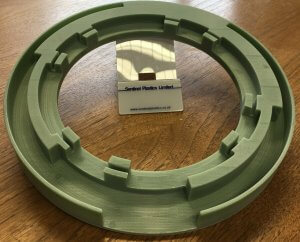 Sentinel is a highly respected manufacturer of high-quality Customer Specification CNC Milling Nylon Parts. 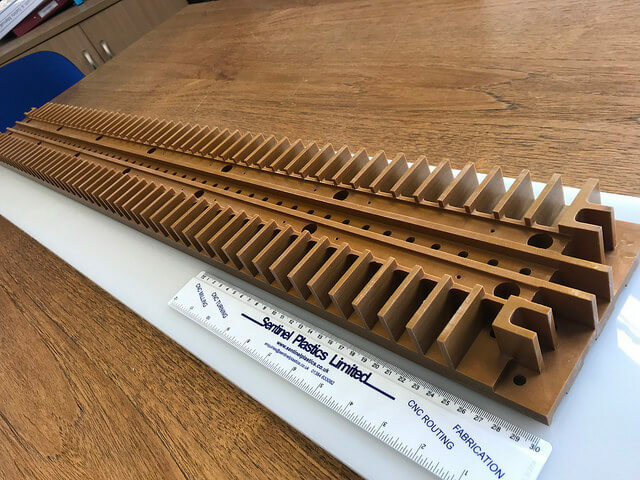 As well as the example shown below, which is a regular customer requirement, Sentinel can supply many more variations of CNC machined Nylon components used in a wide variety of industries. 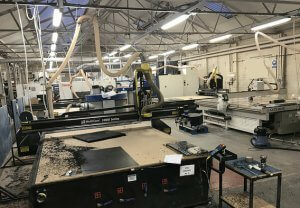 This is mainly due to being able to choose from any one of the high number of machines, all available to achieve our customer requirements, with highly skilled setters and operators. In the video below we show how we can machine Nylon parts at speed and to a high accuracy, without compromising a quality finish. Without doubt, Sentinel have many years experience and knowledge in machining exceptional quality plastic parts for various industries. Enabling Sentinel to be at the forefront of competitive high quality plastic machining. 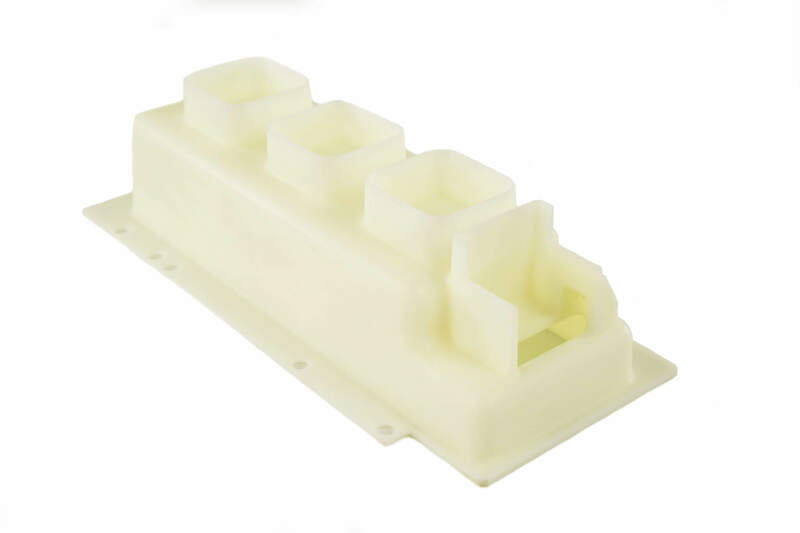 Always providing exceptional CNC Machined Plastic Parts through 26 years of experience in plastic production. Most noteworthy is having the ability to accomplish tight tolerances. 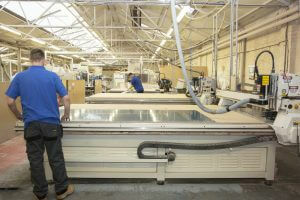 Furthermore a great depth of knowledge when CNC milling and turning the huge variety of plastic materials available. Because Sentinel works solely with plastic, we have a focus that gives us an edge over our competitors in the industry. 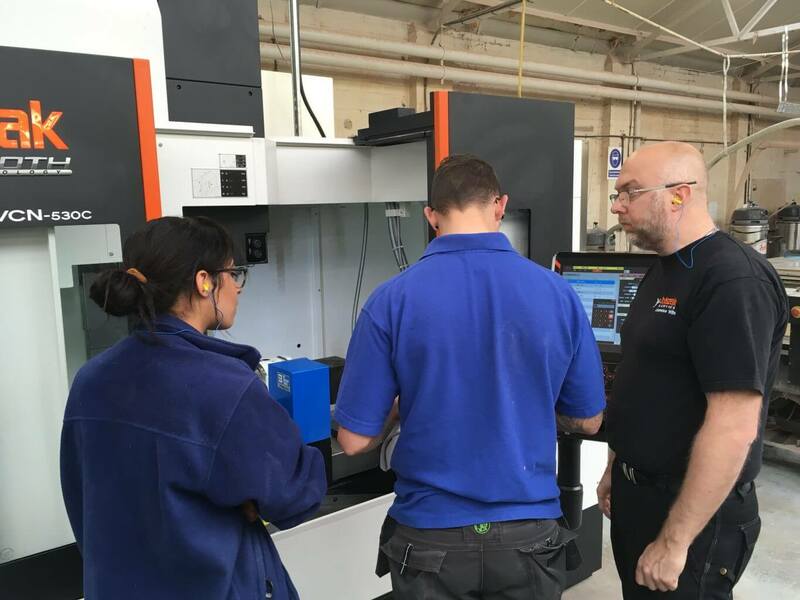 With the added capability of our new addition Mazak vertical machining center capacity and capabilities have reached new heights. Sentinel Plastics have been machining and supplying all types of Industrial Plastic Parts to Power Control and the wider Switchgear industry for over 27 years. As a result, Sentinel have perfected techniques that make us stand out as a cost effective source for all their requirements. Including, bus bars, Shields, Covers, Epoxy Glass, GPO3, PVC, Polycarbonate Guards, PTFE and Nylon Bushes, Bearings, the list is endless. A one stop shop for machined plastic parts and more.